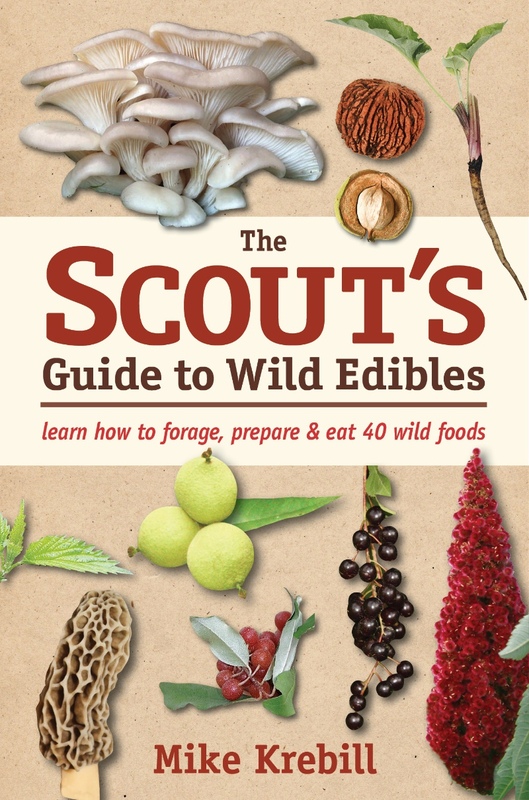 by PSMC member Mike Krebill, is a 192-page field guide that identifies 33 edible wild plants and 7 edible mushrooms. It includes 17 tested and requested recipes and 10 projects and activities that have been favorites of Mike’s middle school science classes and Scout groups. It is a great book for a beginning forager, and veteran foragers will find it packed with insights and tips Mike has gleaned from 50 years as a wild food educator. Click stlynnspress.com/blog to learn more about the book on the publishing company’s blog. As you can tell by the authors names, this book was written by the PSMC founders with additional input by PSMC member Rosanne Healy. This is an excellent regional guide for Iowa and the surrounding states. This is the best mushroom book for Midwestern pot hunters (people who hunt mushrooms primarily to eat). The book shows the best edible mushrooms and any poisonous look-alikes side-by-side for easy identification (great photography and large photos help). This is not a comprehensive field guide, but is great for identifying edible fungi. Includes mushroom recipes from Illinois chefs. As indicated by the title, this book lists 100 edible mushrooms. Most can be found in the Midwest but a few are from the West coast of North America. 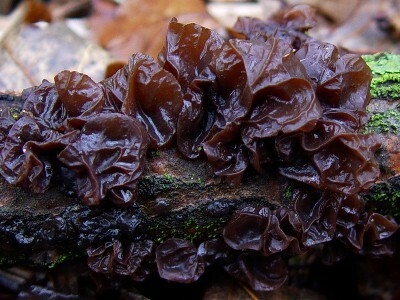 Michael Kuo runs the website Mushroom Expert.com so you know he is well schooled in all aspects of fungi identification. The book includes many fact as well as recipes, most by John David Moore. The George Barron book is organized different than most mushroom books. Beginners find it one of the easiest books to use. The book covers the region from Iowa to Delaware to Labrador to Ontario. Even though this book is about Kansas mushrooms, every specimen in here can be found in Iowa. One of the authors is long time PSMC member Dean Abel. 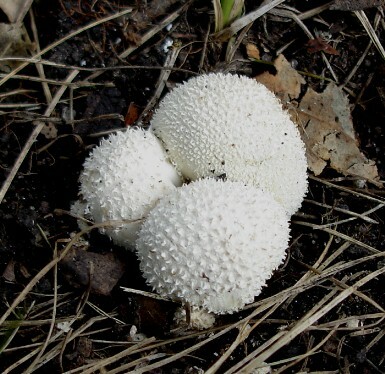 Lycoperdon curtisii and Exidia recisa. Photos by Rosanne Healy.